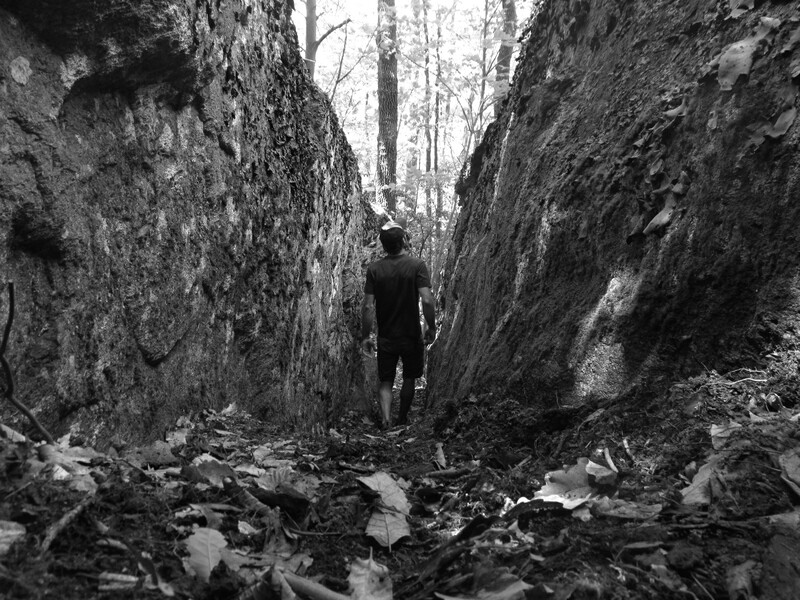 -After the initial Split Rock Bouldering Trail (SRT) was built over the Memorial Weekend GHSP Trail Days, the weather took a turn for the worse and not much in the way of trail work was able to get accomplished. Some back sloping and a bit of trail blazing has taken place, but it has been a slow process. The mowed path through the meadow is now complete however, and the loop is open and hike-able. -The Grand Opening & Ribbon Cutting for the SRT will take place the 27th and all work on the trail by that point will be complete, excluding some of the interpretive, self guided signage. This event will be open to the public and all climbers are encouraged to come! An entire post will soon be dedicated to this. 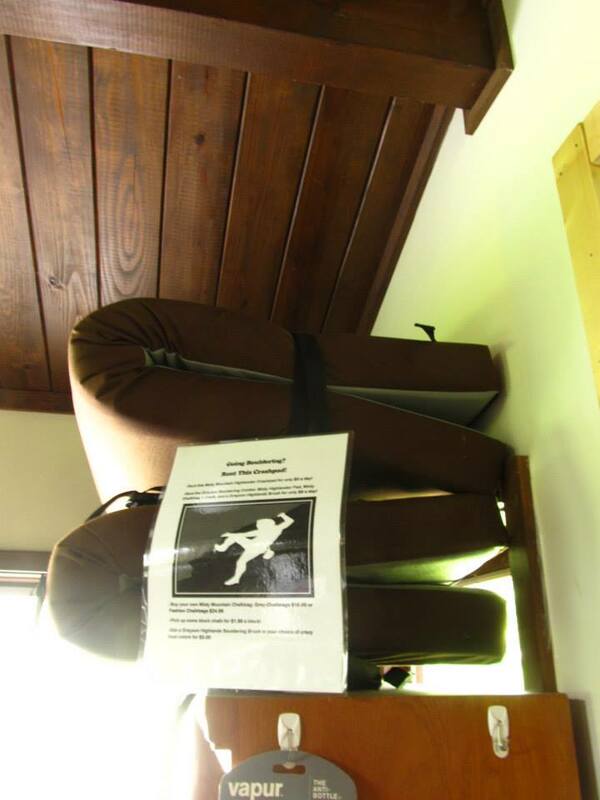 -The second GHSP rental crash pad is now ready for use and located in the park office! Please come take these pads out for the day! They are available for CHEAP rental and all $$ paid goes directly back to GHSP. -The 820th GHSP Park boulder problem was climbed and documented a couple of days ago! 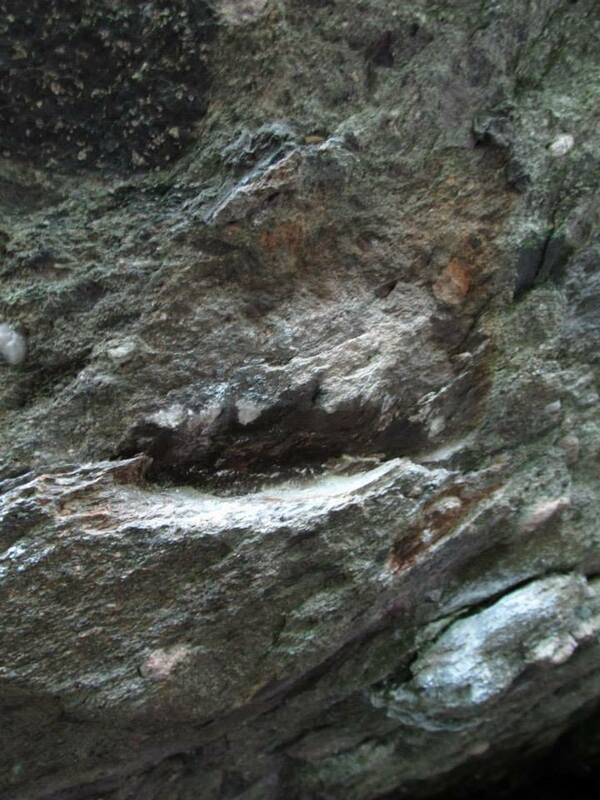 -Some damage to the AVP boulder and surrounding boulders was noticed last week. One section in particular was obviously “pried off” and changed the classic “Parlier’s Problem”(V8), likely making the line easier, as the pried off section left a gaping new jug which likewise serves as a new foot for the crux. Please, please, please respect this park, and all boulders and boulder fields everywhere, and DO NOT DO THIS! It is a matter of simple ethics and respect for climbing here in GHSP and anywhere you go. Also, DO CLIMB WET ROCKS! Most rock anywhere become, even if just slightly, more friable when wet…. Don’t do it.